Calling all Baltimore residents! We just learned about From the Top alum and clarinetist Matthew Dykeman‘s upcoming benefit concert supporting “United for Uganda” – a project that provides the TORUWU (Training of Rural Women in Uganda) Community Brass Band with instruments and financial aid. He’ll be joined by musicians from the Peabody Conservatory and the Baltimore School for the Arts on a program featuring both jazz and classical selections. 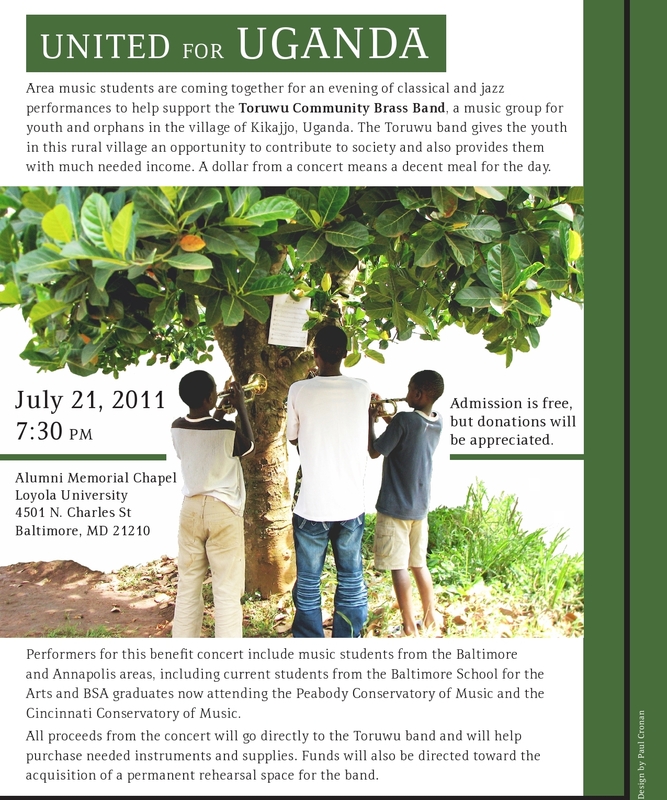 The concert is this Thursday, July 21 at 7:30pm in the Alumni Memorial Chapel at Loyola University. Matt, now a junior at Cincinnati’s College-Conservatory of Music, appeared on Show 199 in El Paso, Texas as one of our Jack Kent Cooke Young Artists. Want to get involved? Follow this link to learn more about “United for Uganda” and to help support the cause! We’ll be following up with Matt after Thursday’s performance to hear more about the experience.